Spanakopita has always been one of my favorites. What’s not to like about spinach, feta and flaky leaves of filo? 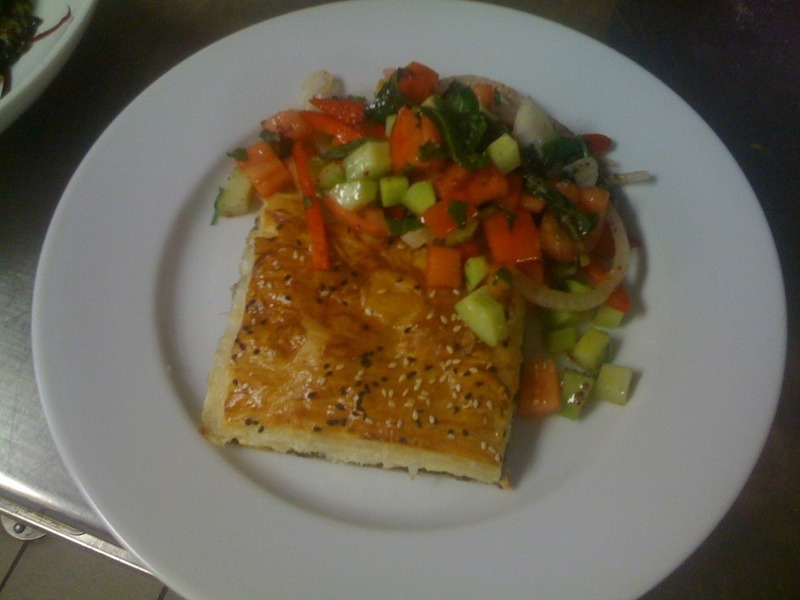 One of our pastry chefs, Pinar Brummer, was quick to point out this dish is called “borek” in her native Turkey. Now that we finally have local spinach, Pinar is making spanakopita, or borek, for our lunch menu. We serve it with a shephard’s salad with sumac, another Turkish favorite.